Clydebuilt commemorates the Clydesdale horses which worked in Queensland agriculture. 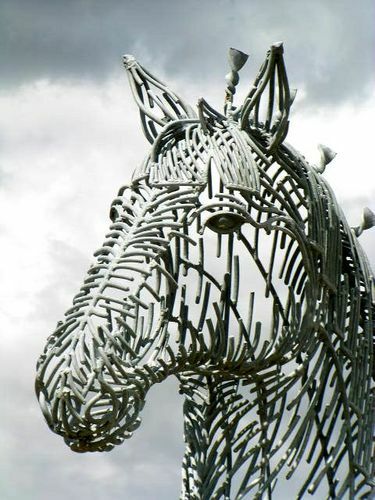 British Sculptor Andy Scott was visiting the local arts community when he decided to create the monument to the days when horses pulled the ploughs in Queensland`s agricultural scene. He welded and galvanised it and then offered it to the local council who hadn`t commissioned it. The council was unsure whether they wanted to purchase the horse but eventually relented. by THE HON FRAN BAILEY MP.